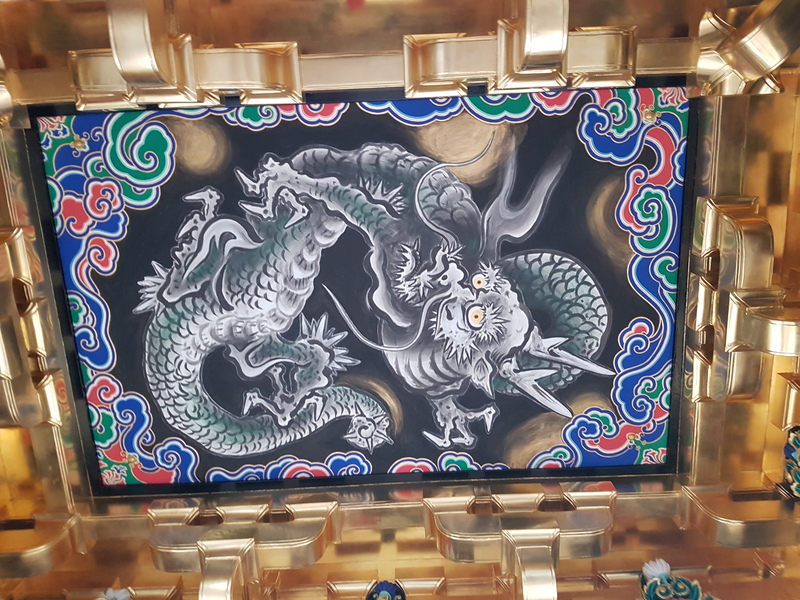 I really liked visiting Nikko Toshogu(日光東照宮). 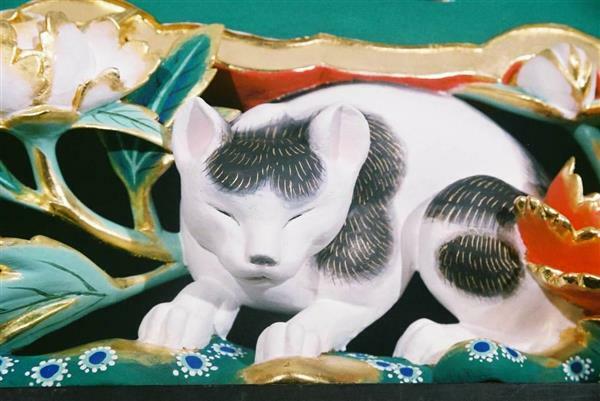 It has so many decorations of animals like monkeys, elephant, cats, horses, Kirin, Dragons…and so on! 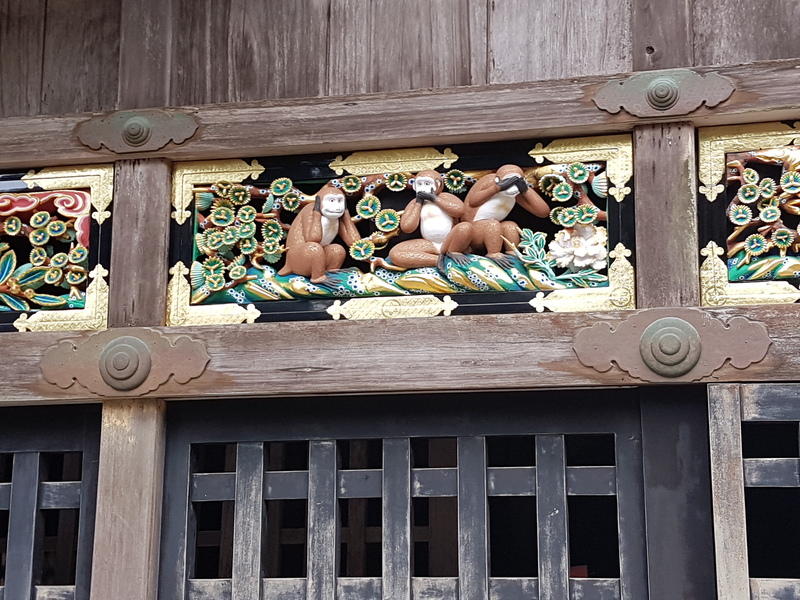 Now I see how these places have perhaps influenced the way Hatsumi Sensei decorates the Bujinkan Honbu dojo and even how my husband, Paul, decorates the Kasumian Study Center. They both really like using animals in the Dojo and offices. I honestly thought that Paul was putting too many animal statues and things at our study center. But I found out that each animal has a symbolic meaning or important mythological role. I truly enjoyed listening to the stories about each animal. I grew up in Shiga/Kyoto or Koga region, famous for Ninja. You can find many Ninja related spots in my hometown. The temples in this area and Kyoto seem more simple and less decorated than Nikko Toshogun. “Wabi Sabi” is the word for a more simple and austere Japanese aesthetic. And it is this Wabi Sabi that I am more accustomed to in the Kyoto, or Koga area. 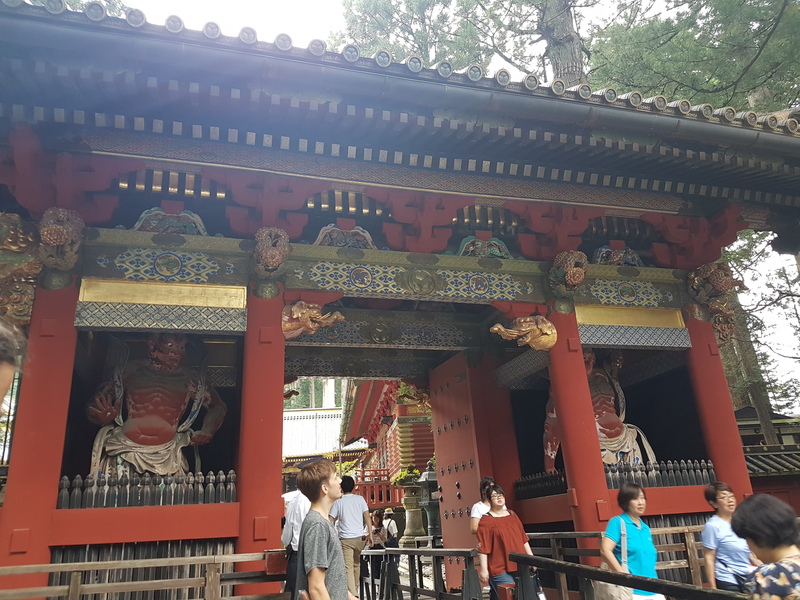 This was my first trip to Nikko and it was very interesting to see the differences between Kyoto’s temples and Nikko which is 17th century’s architecture. 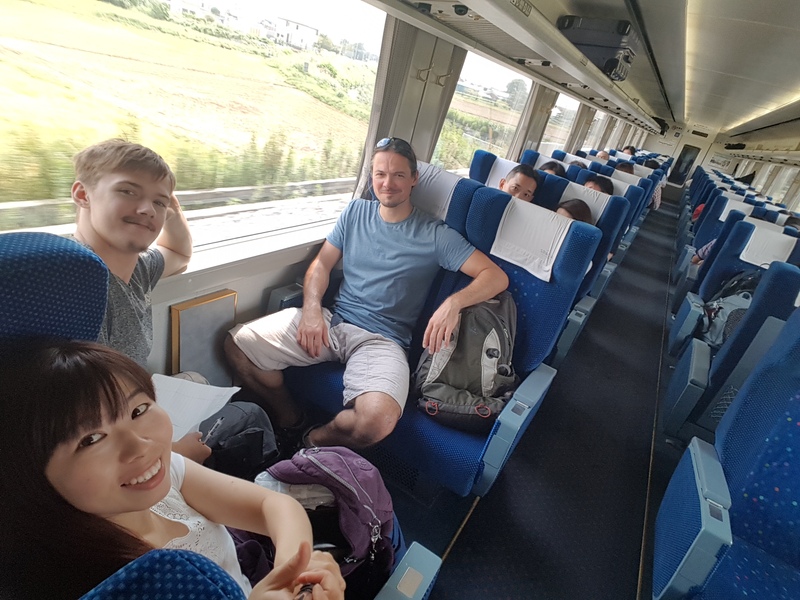 Thank you to Stephan from Germany and Ricky from the USA for joining me on this lovely day trip. 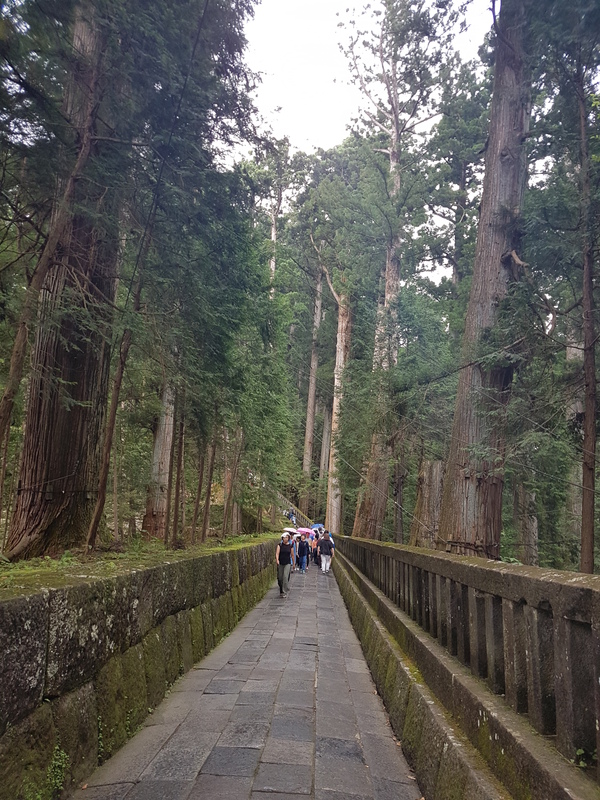 If you have not visited Nikko, I highly recommend it. 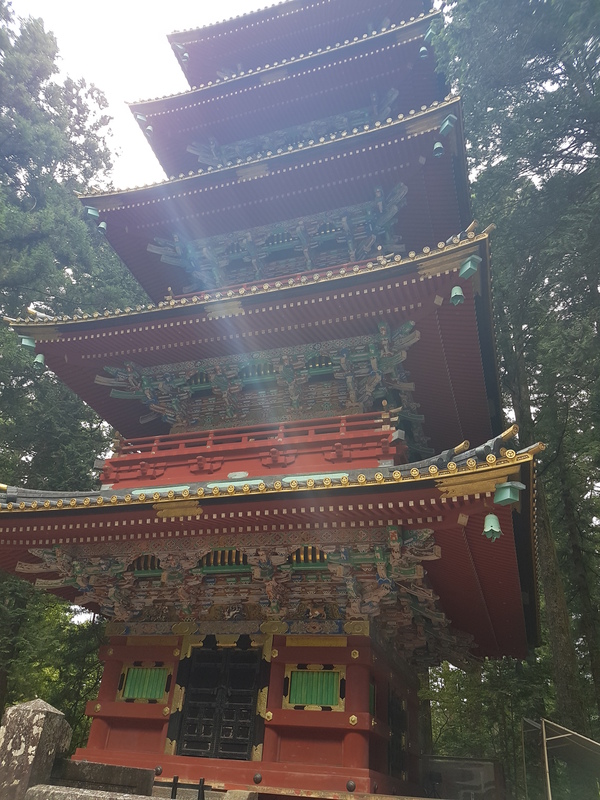 It is an easy day trip from Noda city and it’s beautiful temples and inspiring forest paths with towering sacred trees will certainly refresh you and nourish your spirit! I will definitely visit again. 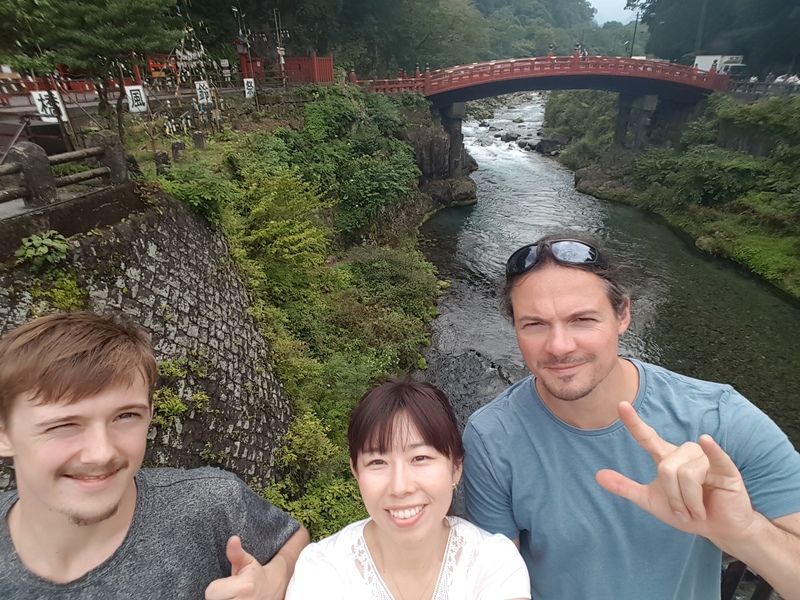 This entry was posted in Place to visit in Japan on 09/15/2017 by Kasumi An Study Center.